Jenny Quintana's debut novel, The Missing Girl, is a gripping novel full of twists and turns, and a desperate hunt to solve a decades-old mystery. If you're reading The Missing Girl in your book club or reading group, here are some questions to help you kick start your discussion. How has the disappearance of Gabriella affected Anna throughout her life? Why has this effect been so profound? Family relationships are central to the novel. What are the various family dynamics that feature? What is the effect of the secrecy and lies? What do you think the time-slip structure adds to the book? Did learning more about Anna’s past change your view of Anna in the present? How would you describe Gabriella’s character in comparison to Anna? Did the fact you knew she would go missing have any effect on your reading? In what way is Anna an unreliable narrator? How does this affect the reading of the novel? How does each member of Gabriella’s family deal with her disappearance? What does this tell us about their characters? The 'Missing Girl' of the title could apply to several of the women through-out the novel. Discuss. Were Anna’s parents right to shield her from their secrets? Did Anna have a right to learn the whole truth eventually? Were there any characters you were surprised to find yourself sympathising with? And what made you sympathise with them? How do you feel about the ending of the novel? How has Anna changed? Do you feel there is hope? 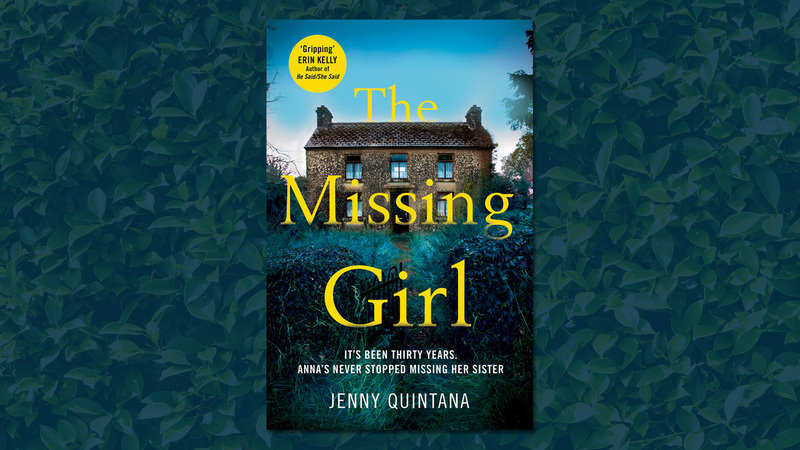 The Missing Girl, the thrilling debut novel by Jenny Quintana, perfect for fans of Jane Shemilt's Daughter, is published in hardback on 28th December 2017.